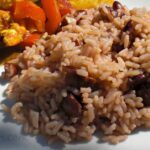 Jamaican Rice and Peas Recipe - Frugal Mom Eh! 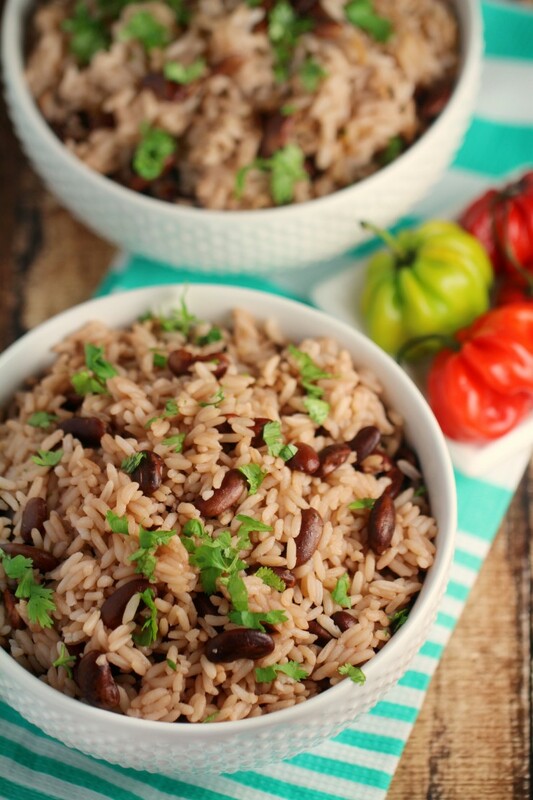 This Jamaican Rice and Peas recipe is an authentic recipe for a popular side dish to most Jamaican meals. This traditional recipe uses fragrant thyme and coconut for a rice that is full of flavour! 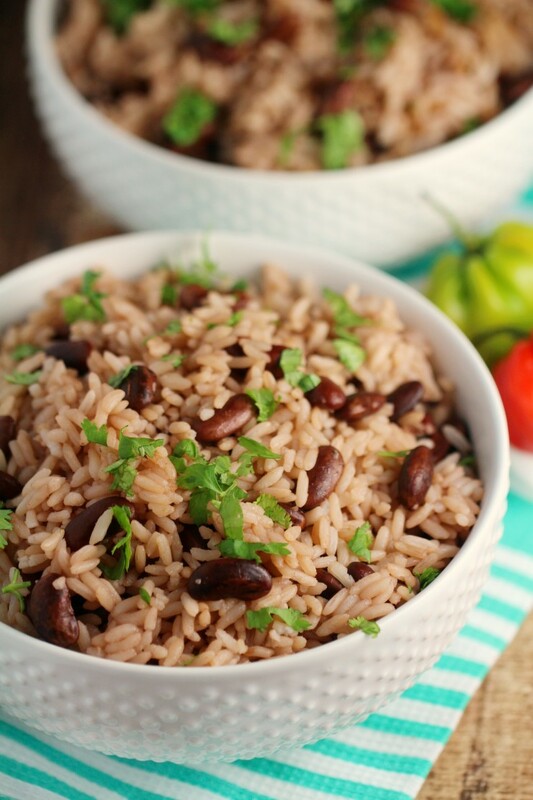 Rice and Peas is a staple in the Jamaican diet and is a great accompaniment to most Jamaican entrees, such as Jerk Chicken or my Caribbean Okra and Shrimp. It’s nice with a little fresh hot pepper sauce sprinkled on top as well. We like to use red kidney beans but you can swap in gungo (or pigeaon) peas if you can get them. You can also omit the scotch bonnet peppers if you don’t like heat as they are very hot, however cooked whole it lends more flavour than heat. Place beans & garlic in a large pot and cover with about 7 cups of water. Stir in the coconut milk, green onions, thyme, scotch bonnet pepper, salt, pepper and rice. Bring back to a boil and cook until the rice is tender and has absorbed most of the liquid. Time depends on the type of rice used. 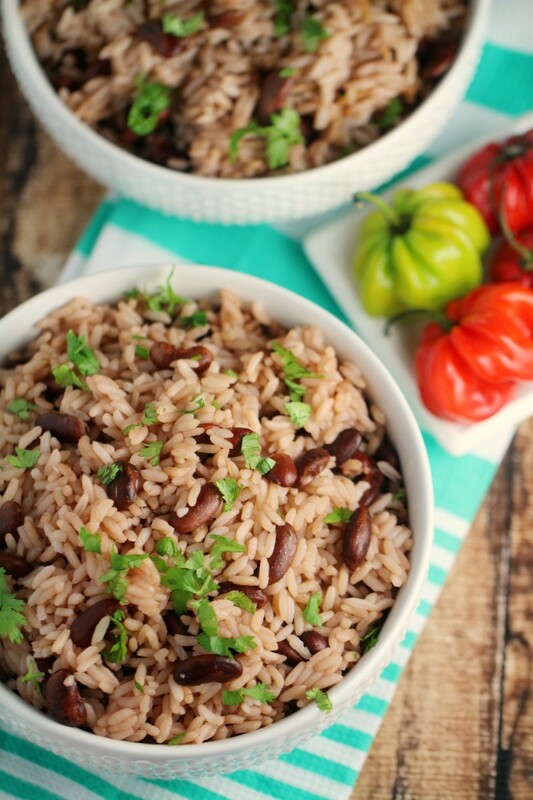 Traditional Jamaican Rice & Peas recipe - Great accompaniment to most Jamaican entrees! One of the things I miss about living in the city was all the great food just a couple minutes walk from my door. There was a very popular Jamaican restaurant a block away….amazing food. And no matter what we ordered, we always got rice and peas to go with it! Oh, this sounds so good! I haven’t used coconut milk before but it sounds like it would be really yummy. This sounds so simple to make and yummy! Thanks for sharing! mmm that looks tasty, maybe dinner tonight! Thank you! This sounds amazing! Myself and my husband would love this! Bookmarking this page! Thanks so much for the recipe! This sounds good. Interesting with coconut milk in it. What is Scotch Bonnet Pepper? It’s one of the hottest peppers you can get and used often in Jamaican cooking. They look like teeny tiny miniature sweet peppers and come in a variety of colours. They are easy to find in the grocery store. Mmmmm….this seriously looks so delicious! I’m going to try this for sure! I can’t wait to try this with my jerk scallops. Yummy! That sounds absolutely delicious. A must make. This looks excellent. I miss eating Jamaican rice. I will definitely try making this one. Jamaican rice is so good! Sounds like a great recipe, although I am not sure I could handle the pepper! Heidi, the pepper doesn’t actually make the rice spicy as you don’t cut it or crush it. It just adds a little flavouring, you could totally leave it out though. 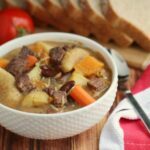 I love Jamaican food and this sounds delicious! Thanks for the recipe! I love Jamaican food. 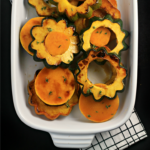 This recipe looks really good, and it looks easy enough that I probably won’t mess it up. 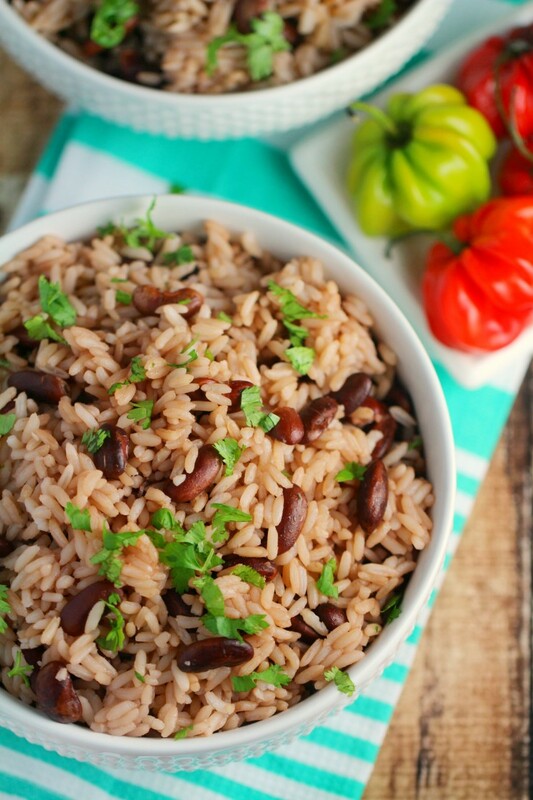 LOVE rice and peas! I’m trying this recipe for sure. Pinned! This looks amazing! 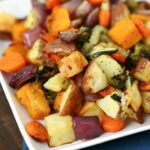 I will try this with your Jerk Chicken recipe 🙂 Our household loves chicken, so new recipes and side dishes that compliment it are always great! 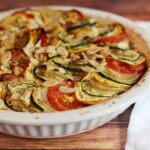 The coconut milk is a must for this recipe! It makes it so much better! I would love to try to make this! I am not the best at cooking any sort of rice, but I think I could pull this off. Tried this tonight followed the recipe exact and omg so tasty!! Sounds delicious! Thanks for sharing ! Thanks so much for the recipe,tried it and loved it !! After I add the rice and bring to boil, do I then bring it back to simmer until rice is tender? I’ve never boiled rice for the entire cooking process and was just wondering since I’m notorious for burning the rice lol. Also what type of rice is best? I was planning on using brown rice…. Yeah sorry, you do want to drop it down to a simmer after it comes to a boil. We usually use parboiled rice, but brown rice works well too. Does the type of beans matter? I tried white beans (dry) and they weren’t tender even after 4 hours!! What did i miss? Yeah, so that is because the type of bean you use definitely does matter – if you swap the beans you need to know how to cook the particular bean you have chosen. 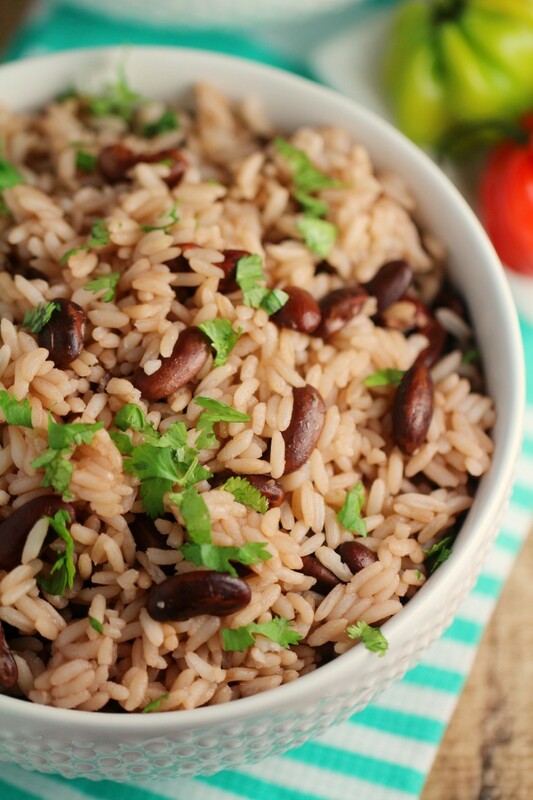 Red kidney beans do not need to be presoaked before cooking. I’m not sure what bean you used, but most of the “white” ones need to be soaked overnight and then still have a cooking time of up to 3 hours. I like everything about this recipe except I’ve never heard of Scotch Bonnet Pepper. So that’s the only item I’m not sure of. Do you add 3 cups of cooked or uncooked rice? I assume you’d let the rice cook if the latter?